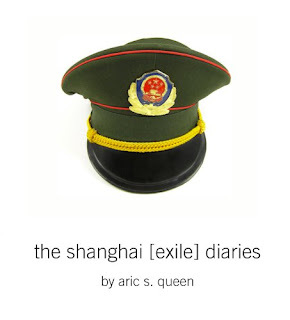 We've taken a bit of a hiatus on book club but that doesn't mean I've stopped reading.I just finished The Shanghai Exile Diaries by one of my absolute favorite writer/people, Aric S. Queen and I'm currently reading Quiet. The latter was a drunken purchase at the airport when I was half deep in a bottle-of-champagne-sized mimosa and realized I forgot ALL my books. Quiet, compares and contrasts...and compares and contrasts...anddddd compares and contrasts philosophies as to whether or not being an introvert is a virtue and what shapes our social tendencies. I hated the one psychology class I was forced to take in college so this is brutal for me but if you like that kind of thing, this is probably your jam. Anywho, onto Shanghai...or the rest of Southeast Asia, I should say. This book is advertised as an exposé on China's [bad] behavior during the last Olympics. In reality, the book has little to do with the political climate but rather follows Queen around Southeast Asia after he flees China. As you'd expect, the Chinese government wasn't too thrilled when music producer turned podcaster turned political...inactivist? started streaming news about the pollution and overarching control of the Chinese government over the entire country before and during the games. The book has all of the components of a page turner-adventure, a love story, and the brutally honest about how jacked things can get when you travel to remote locations. Definitely a great summer read. 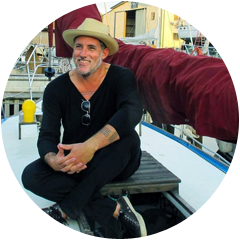 As for Aric S. Queen, he is currently sailing around the world selling lemonade...funny/strange, I know. His adventures are documented on his website and I strongly urge your to read up and watch his videos. As someone who has had a show with BBC before, he knows how to amuse and hold your attention. Enjoy!